I’ve written a lot about helping students learn about self-control (see The Best Posts About Helping Students Develop Their Capacity For Self-Control). Walter Mischel’s famous marshmallow experiment obviously plays a role in that work. 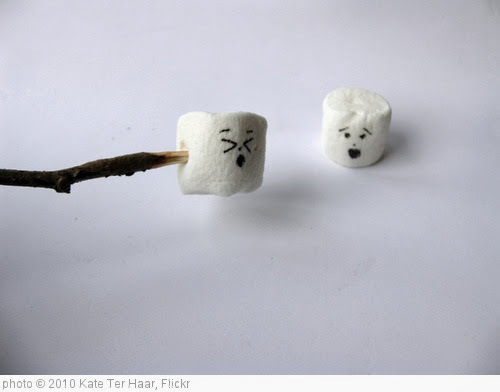 I also wrote about a recent study (see Marshmallows and Trust) that raised a question about if that experiment truly measured self-control, or if it really measured the children’s trust in the researcher — would he/she really return with a second marshmallow. I and others thought that was intriguing, though also thought it was far too soon to jump to any conclusions. Nevertheless, it raises — again — the issue that Social Emotional Learning is not enough, and that, in addition to teaching SEL skills, attacking some of the potential root causes studies have found for SEL challenges facing many low-income people must also be made a priority in our society (see The Best Articles About The Study Showing Social Emotional Learning Isn’t Enough). I was prompted to write this post after seeing a tweet from Kevin Washburn, who’s at the Learning and the Brain Conference in San Francisco this week. He was reporting on what sounded to be a great talk by Kelly McGonigal there, including pointing out (I assume based on this recent study) that having a caring teacher is likely to promote self-control. In other words, if trust does indeed play a key role in self-regulation, students feeling that they can trust the teacher is likely to increase the odds of students developing it. I hadn’t made that obvious connection to that “trust” finding, and thought it was worth sharing — not that we educators don’t have enough other reasons to encourage students to trust us! I also thought Kevin tweeted out some other useful information, and embedded them below. I also am using this opportunity to try out TweetDeck’s new “custom timeline” feature, and will be comparing it to Storify, which is the tool I usually use to curate tweets. Speaking of the Learning and The Brain conference, I’ll be there on Friday and Saturday leading workshops, so posts at this blog will be fairly minimal over the next day or two..
PreviousI Believe It’s Important To Have High Expectations Of Students, But This Might Be Going A Little Too Far….